GRAFENWOEHR, Germany – The Winter Games are about to begin and free streaming of the Olympics for service members and families is back. 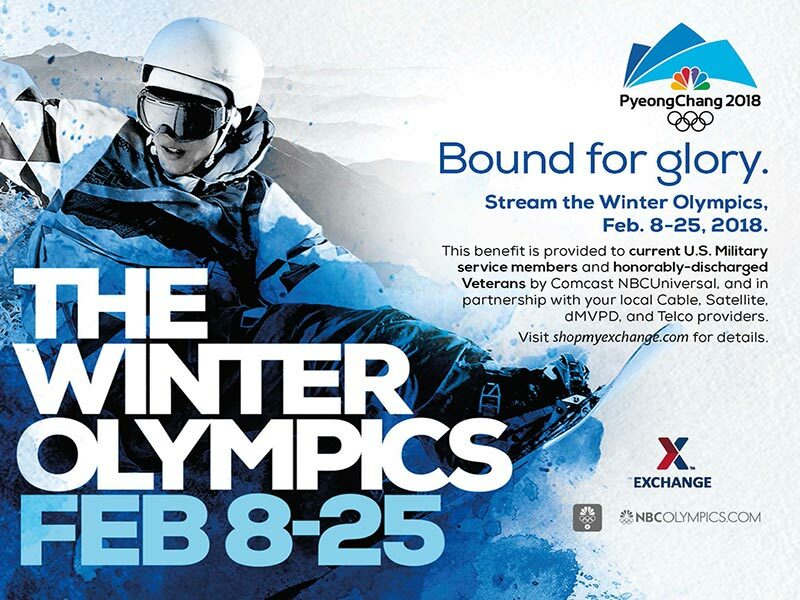 The Exchange is honored to partner with Comcast NBCUniversal and local cable, satellite, dMVPD and Telco providers to bring the 2018 PyeongChang Olympics to the PCs and mobile devices of military families across the United States and on most installations overseas — for free. For the first time, free Olympics streaming is extended to honorably discharged veterans too. More than 2,400 hours of coverage from the games plus more than 50 hours of virtual reality content will be available on the NBC Sports app and on NBCOlympics.com starting Feb. 8. All that’s needed is a ShopMyExchange.com account. For details go to ShopMyExchange.com.